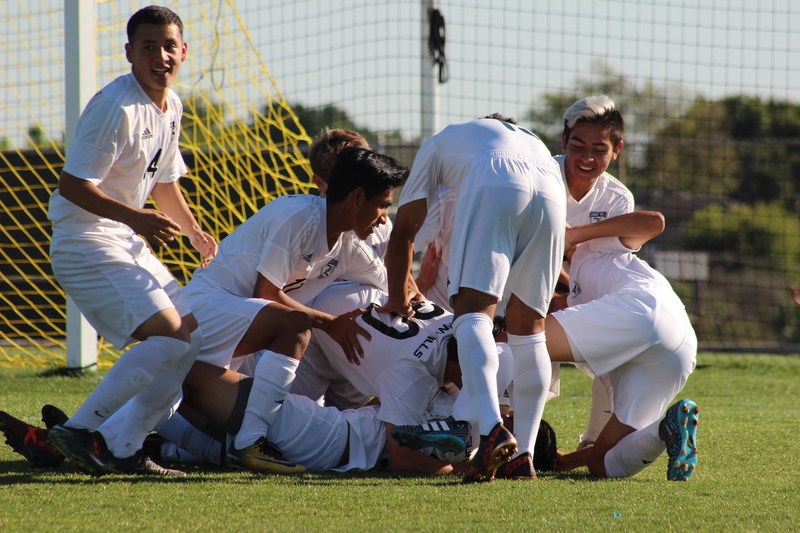 For the third time in four years, the Lancers advanced to the CIF-SS Div II Semifinals. Behind the support from the home crowd, the team overcame a goal from the visitors in the last minute of regulation. 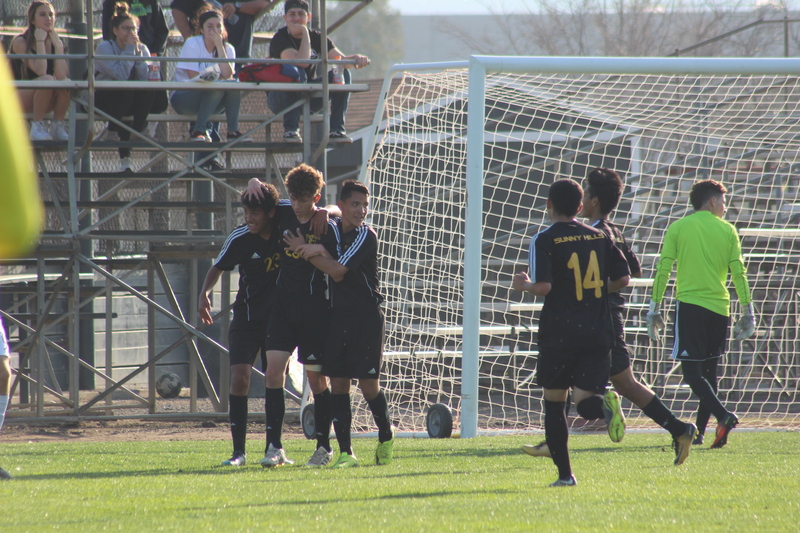 After a back and forth OT, the Lancers converted all of their penalties to clinch the victory. 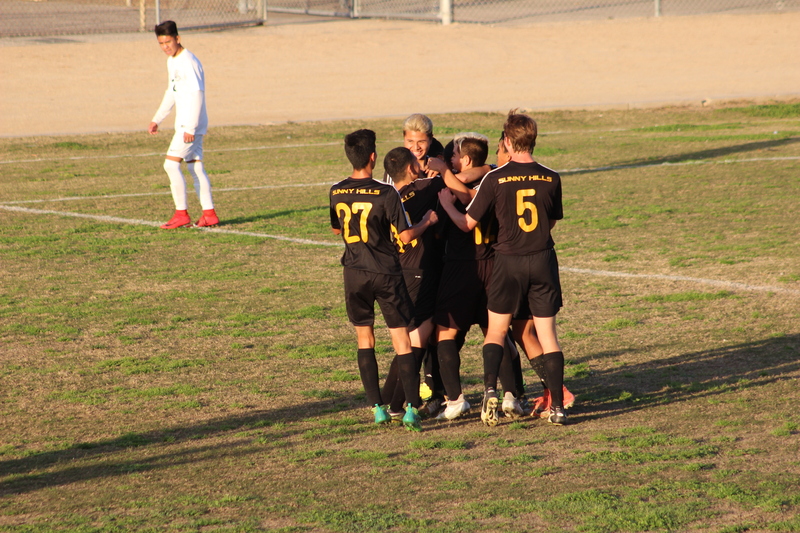 The Lancers capitalized on home field advantage, taking an early lead in the 10th minute of play and they never looked back as they defeated the visiting Vikings 3-0. 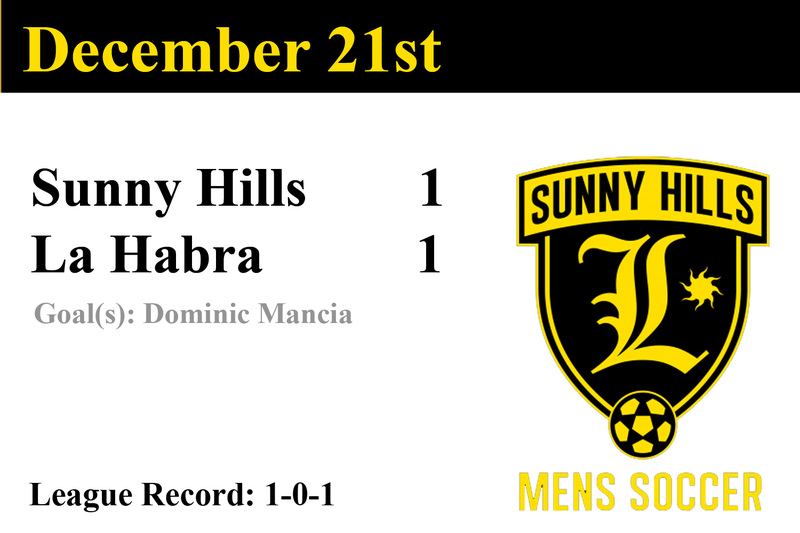 The Lancers will host Mira Costa in the Quarterfinals of CIF-SS Div II this Saturday at Sunny Hills (time TBD). 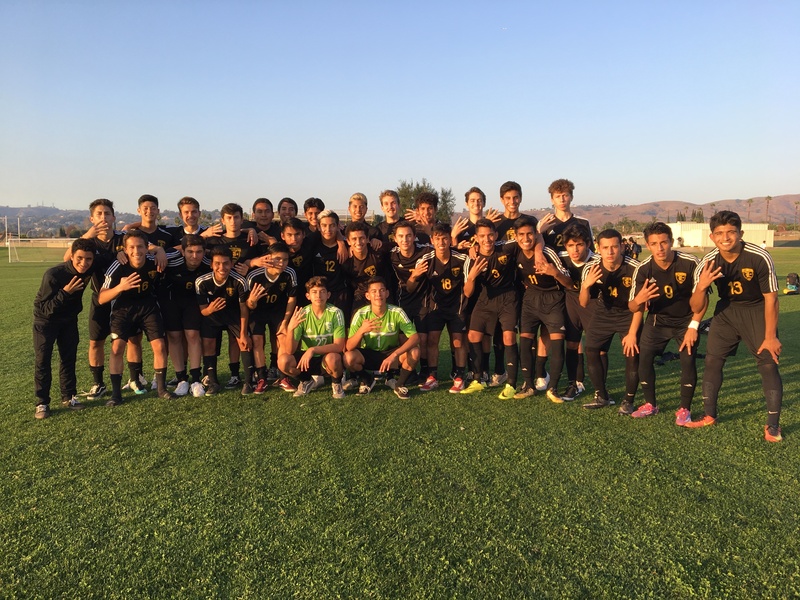 The Lancers opened the first round of the CIF-SS Div. II Playoffs with a win at home in front of the largest crowd all season. 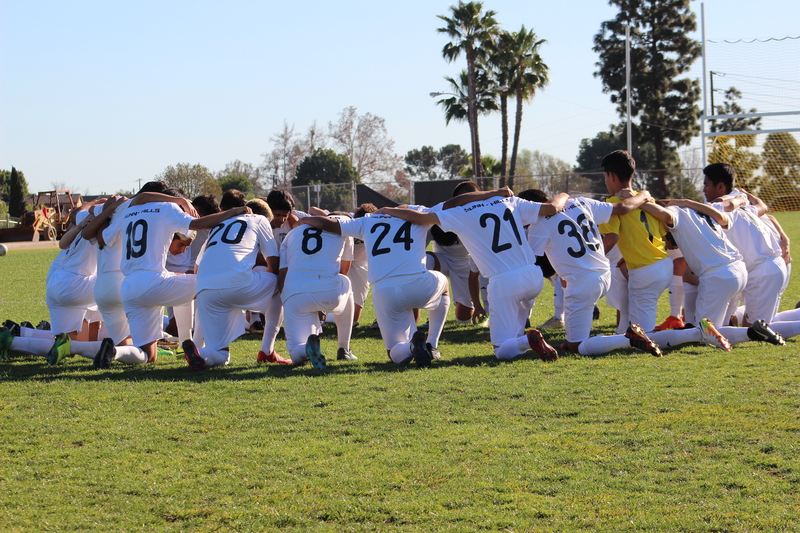 The team will look to defend its home field as it hosts Hueneme High School in the CIF-SS Div. II Second Round Wednesday, Feb. 21st @ 3PM. The Lancers clinched the Freeway League title for the fourth consecutive season with a second half come-from-behind victory. Senior Day is this Thursday Feb. 8th (3PM) at home as the team looks to finish league strong with a win. 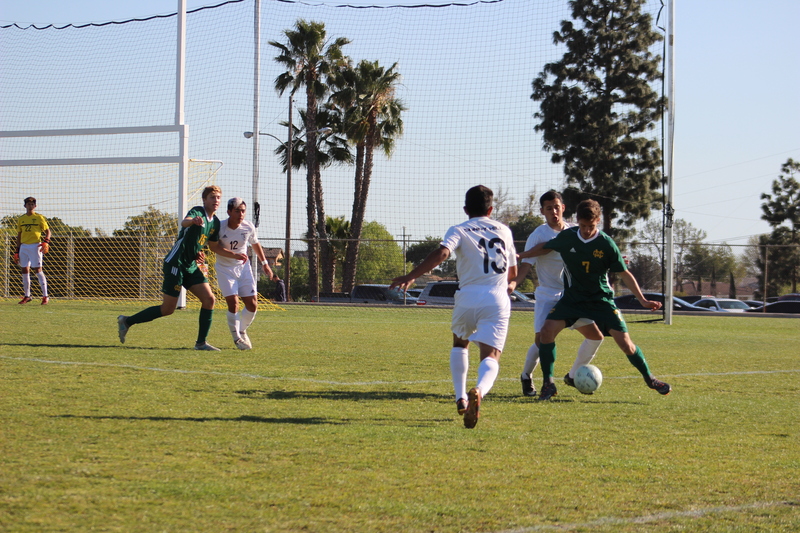 The Lancers continue to focus on playing relentless defense as they posted their 6th shutout in 8 games. 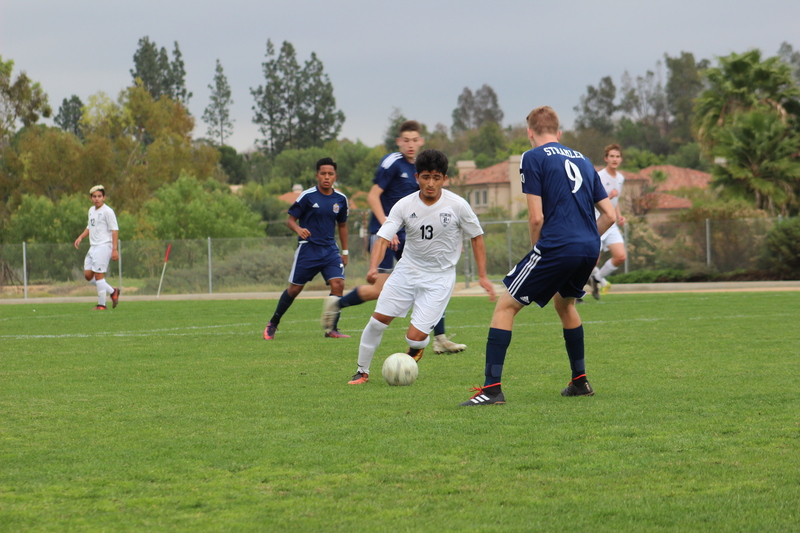 After 75 minutes, the Lancers put the game away with a goal from Christian De Guzman and assist from Diego Useda. 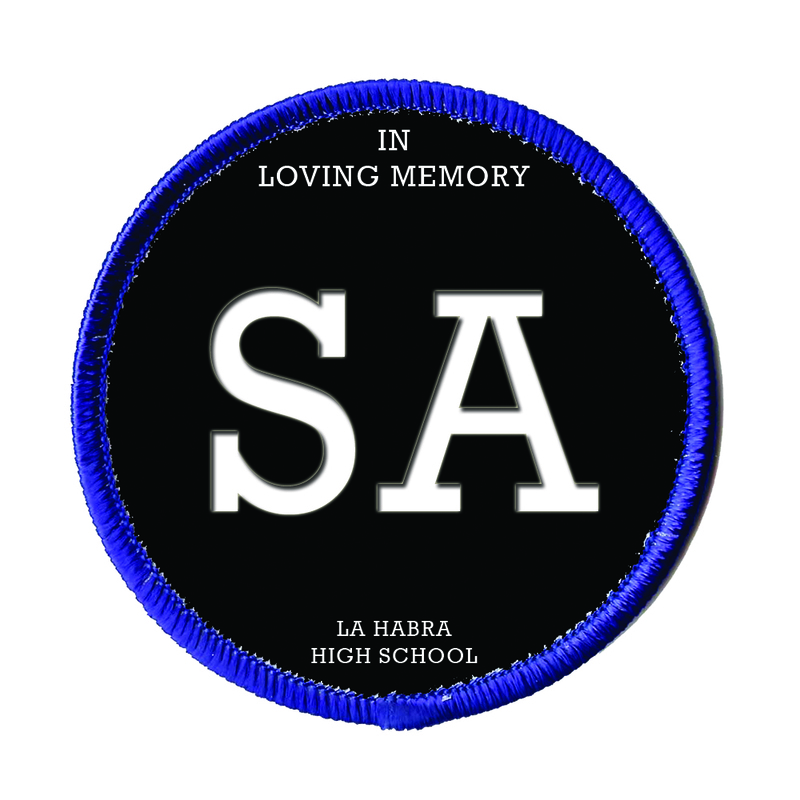 The team will travel to Sonora on Tuesday Feb. 6th (3PM) for its next League matchup. 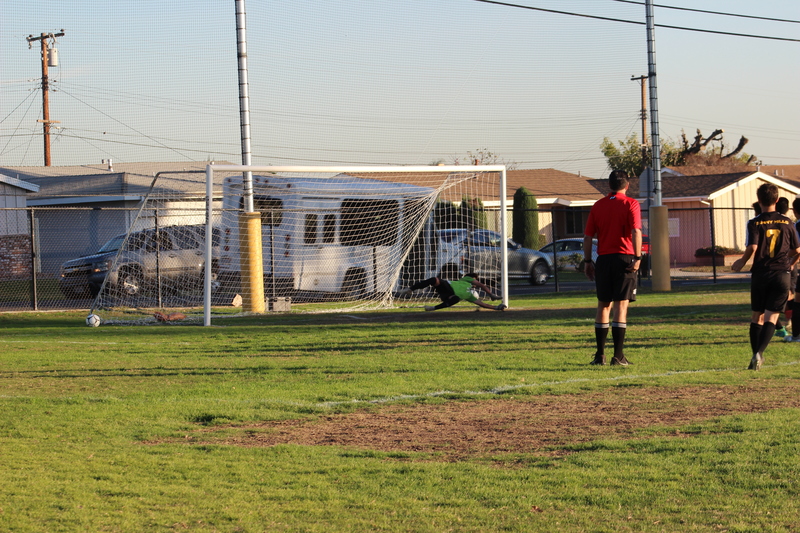 The Lancers posted a shutout for the second time against Fullerton High this season. 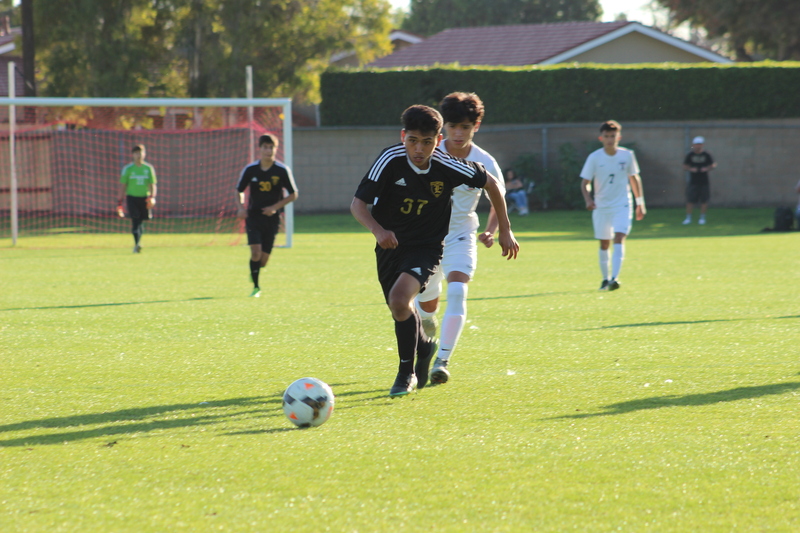 After dropping the last game, the Lancers responded with well organized soccer and look to build on the momentum heading into the final three league matchups. 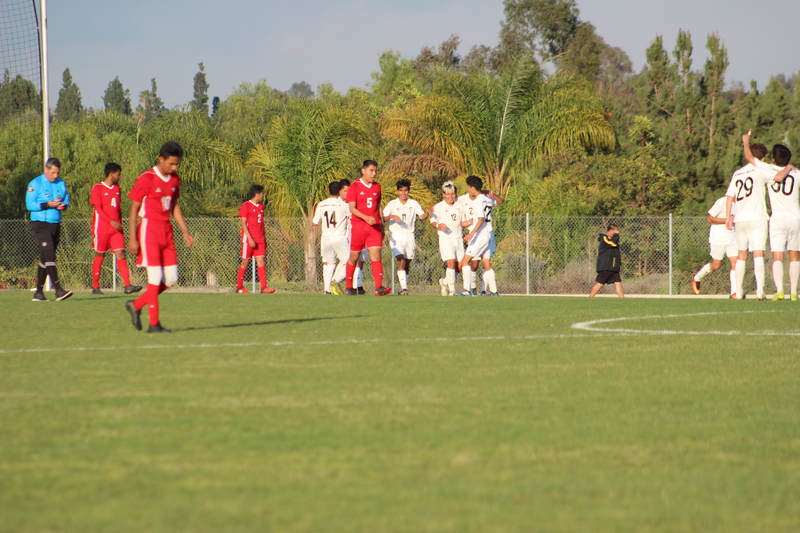 The Highlanders were awarded a late penalty kick which ended up being the deciding factor in a game the Lancers seemed to control. The team will have to travel for its next match-up against Troy (Wed. Jan 31) in a must win game to remain on top of the league table. 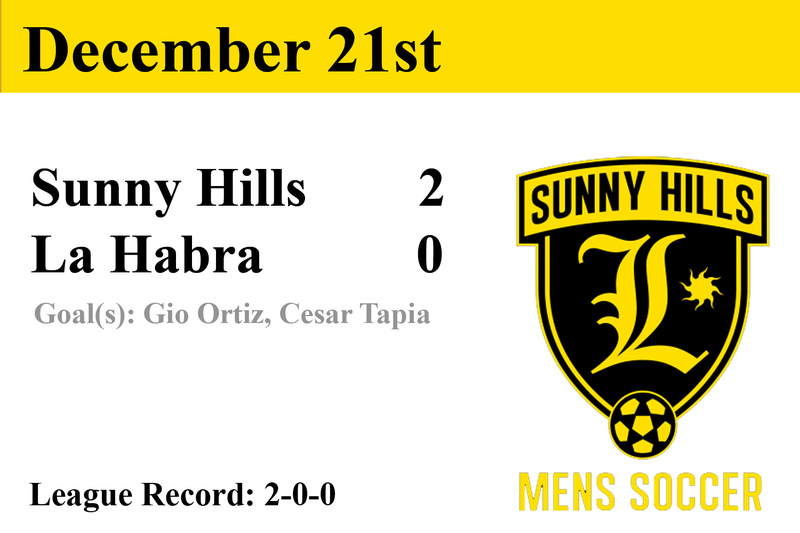 The Lancers finished the first round of the league tournament with a road victory against Buena Park. The team posted its fourth shutout in five games. 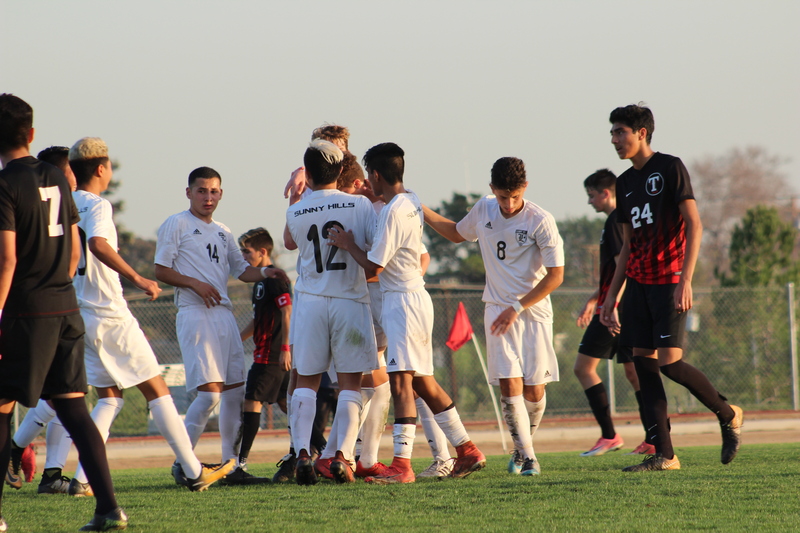 The Lancers finally began to capitalize on their goal scoring opportunities as they put away the visiting Raiders early in the match. 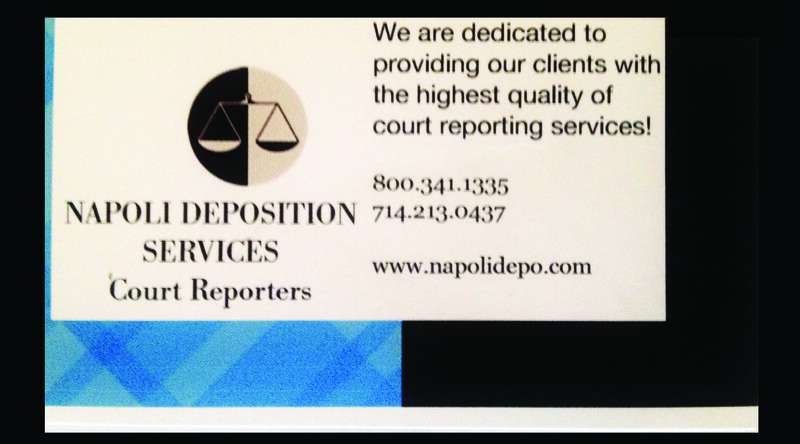 The defense also held its own as it recorded its 3rd shutout in four games. After giving up the lead, the Lancers were able to pull off a last minute victory against the visiting Warriors. The team remains undefeated in league play and will host Sonora next. The fighting lancers are honored to represent the Men’s Soccer Program and will work to uphold its great tradition of coming together and making history. Our alumni have created an impressive culture that guides each team to become better every day. 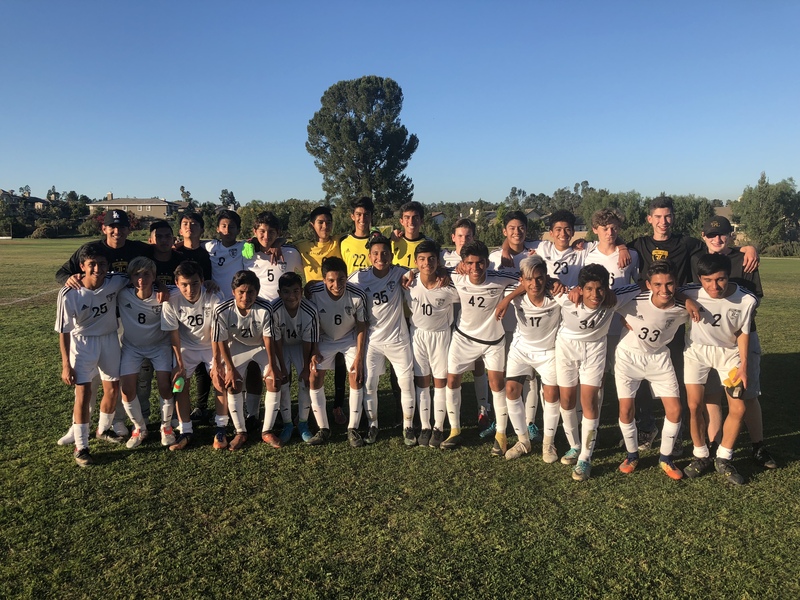 This year’s players have dedicated themselves to training hard and are prepared for the challenges ahead as they commit themselves to Sunny Hills High School.